HiFashion | UK Fashion and Lifestyle Blog: It's my Birthday! I'm officially 23 years old today! Almost an adult, but not quite, hehe (no one tell reletives how old I am as I don't want anyone to tell me that's 'It's time to find a nice guy'). I had fun being 22, but I'm going to make sure being 23 is a lot more fun. I've already had my family Birthday party and have already got severel presents. I thought I'd share my favourite present of the year, so far: my Tissot Watch, from my Dad, which we got while we were in Switzerland. I love real Timepieces and have always been a huge fan of the likes of Tissot, TAG Heuer and Breitling (despite never being able to afford them, especially the latter 2!) I'm a firm believer that everyone should own at least 1 decent, real watch, that would last a lifetime, and can then be passed down. I do feel really weird if I leave the house without a watch ever (my current being a Nini Ricci), and this one is a perfect addition for me. P.S. Susie's given me a sneak peek on my birthday present and it looks like it'll ROCK! Happy birthdayyyy! And ooh what an awesome present! Happy Birthday - Hope you have a lovely day. What a great watch. I feel lost when I don;t wear my watch too. 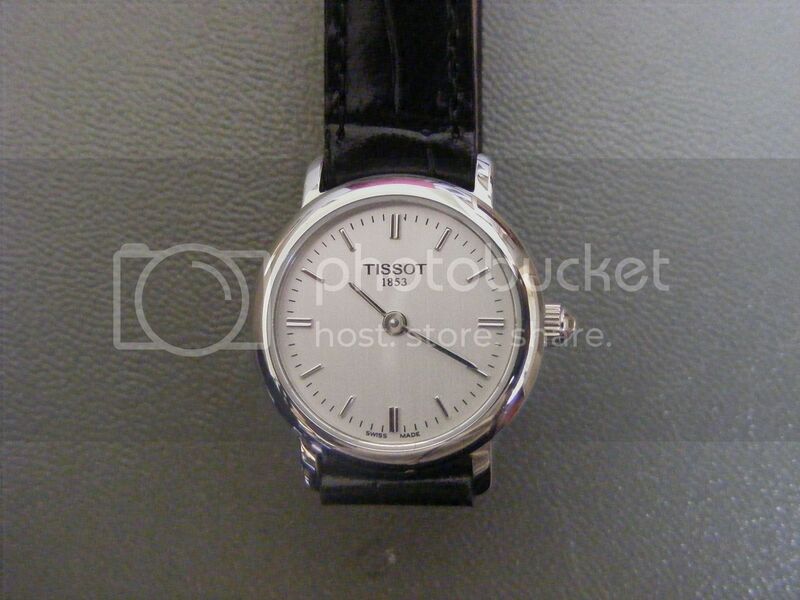 I have a really nice Maurice Lacroix one but the strap has broke and I haven't got round to fixing it. happy birthday!!!! wishin you the best!!! happiness and lot of creativity! happy birthday! you look younger than 23! Happy birthday! Getting older is great: you learn and experience and grow. Wish you a VERY HAPPY BIRTHDAY!!! and many many more to come. Stay cool as you are, always!!! Happy happy birthday! And oh my that cake looks amazing! I don't comment very often, but I wanted to wish you a happy birthday. You have a fun to read blog. Happy Birthday Sherin! What a lovely watch! I hope your day is filled with good fun and good friends! Enjoy your day!! Happy birthday! Congrats on another awesome year! Happy bday sweets! I hope you have a wonderful day! Happy belated birthday! Hope u had an awesome time! 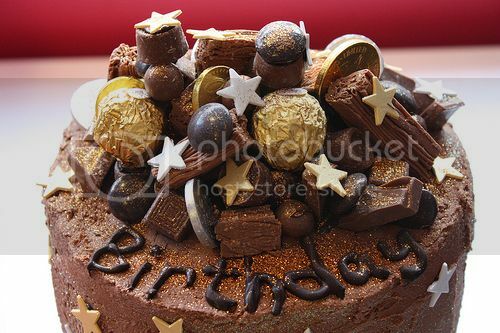 God that birthday cake looks yummmmmmmilicious! Aack I missed your birthday! I read Leia's tweet and I meant to greet you but I forgot. Boo me.